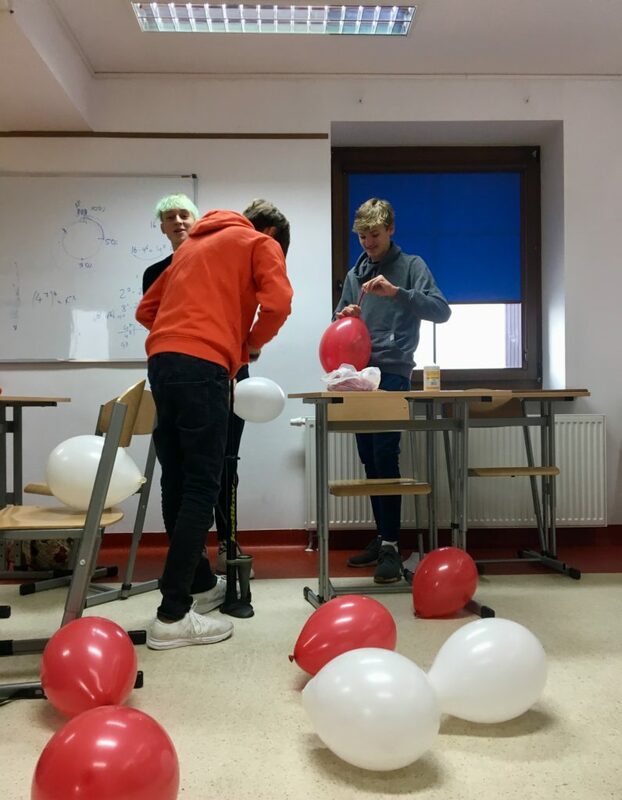 On Friday Polish Native students from grade 9&10 prepared a suprise for our community. 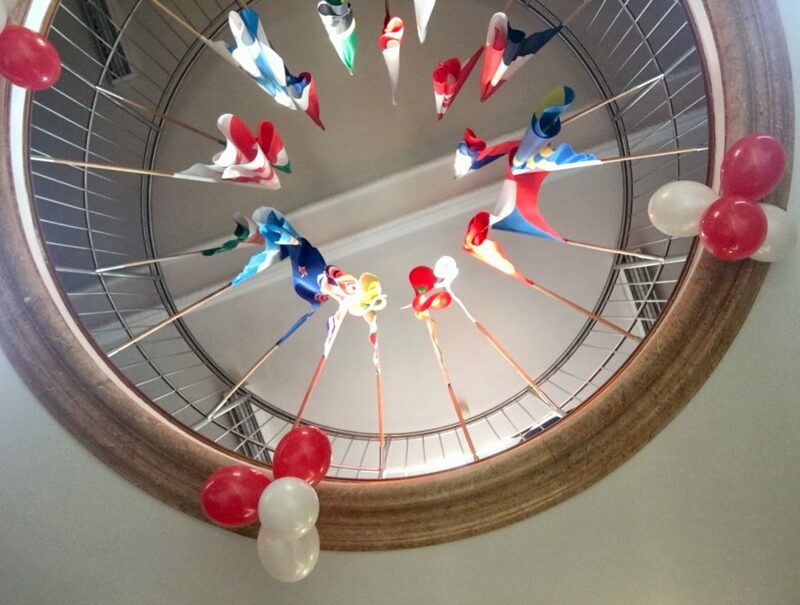 They decorated the entrance and corridor with white and red balloons. 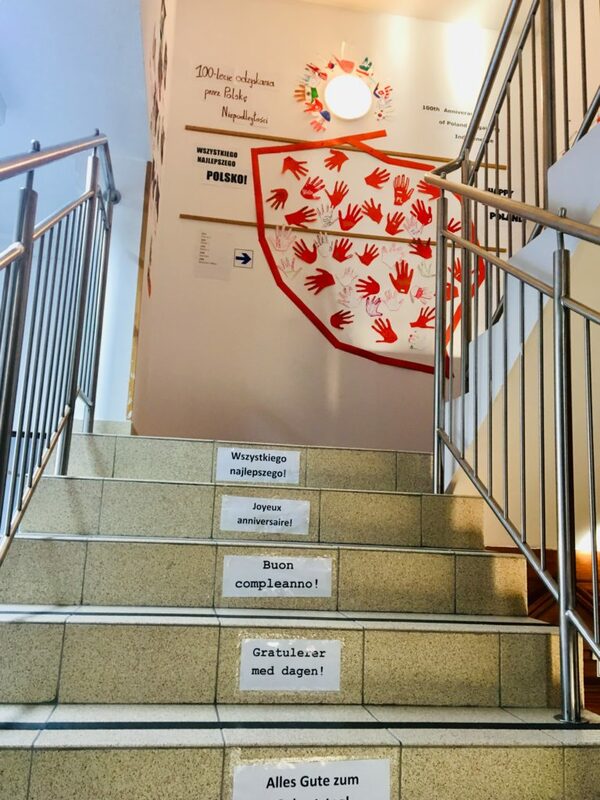 Moreover, they made our stairs more intercultural, so if you don’t know how to say Happy Birthday in different languages, take a small walk up the stairs.